In this issue: Debating airport privatisation, a new system to prevent aircraft from entering European airspace, Dubai Airports’ smart building technology, ways to combat harmful noise pollution from the aviation sector, security on the concourse, and more. Airport privatisation is a growing trend that shows no signs of slowing down, but IATA recently warned that it doesn’t deliver quite as many benefits as promised. We examine this trend and see if there is any weight behind IATA’s concerns. We also examine the European Commission’s historical decision to lift a ban on Indonesian air carriers, more than a decade after the country was blacklisted. 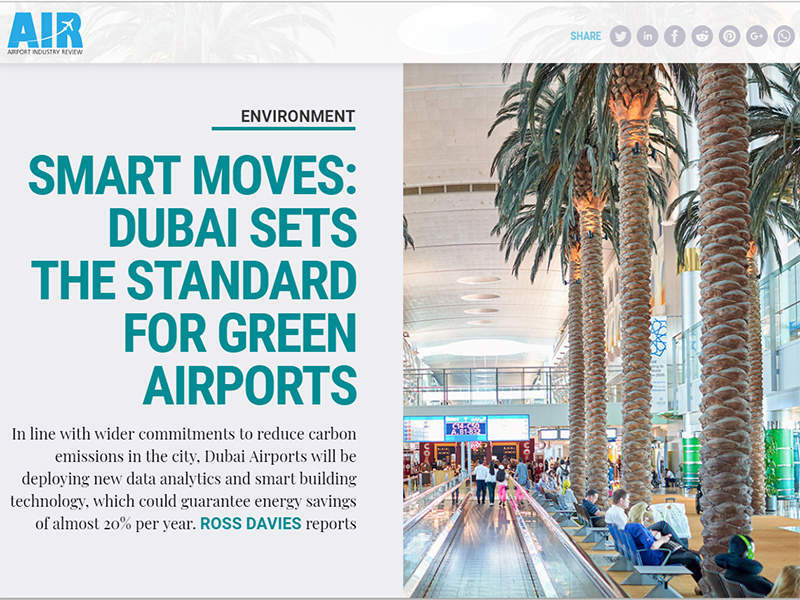 When it comes to energy and the environment, we take an in-depth look at Dubai Airports’ latest move to decrease its carbon footprint by using Siemens’ data analytics, and speak to Finnish company Neste about its project to reduce emissions through the use of its renewable jet fuel. 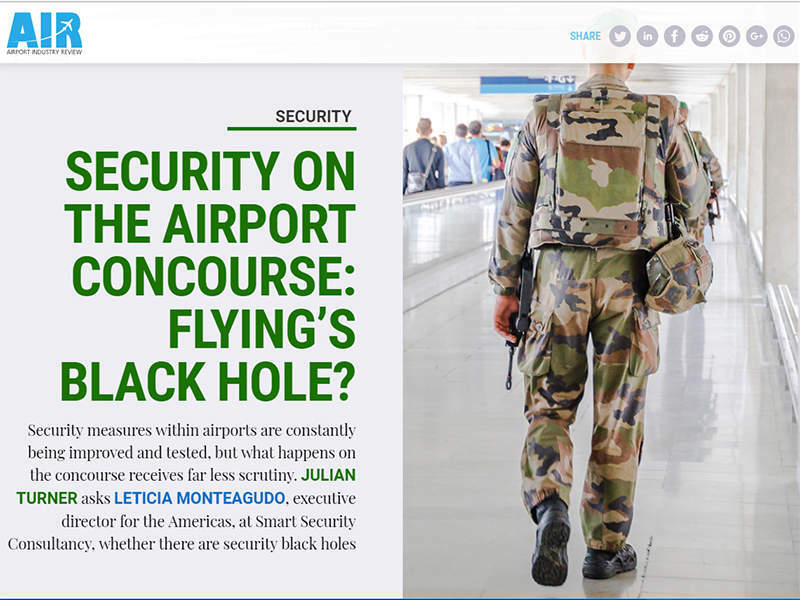 Finally, we investigate the black holes of security oversight at airports and find out what’s being done to combat noise pollution from aircraft, which can disturb sleep patterns and raise the risk of cardiovascular problems. 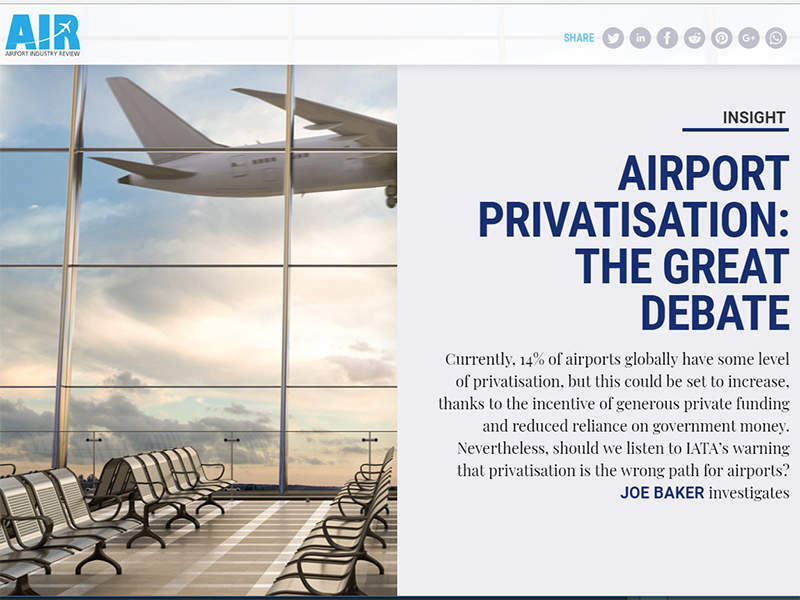 Currently, 14% of airports globally have some level of privatisation, but this could be set to increase, thanks to the incentive of generous private funding and reduced reliance on government money. Nevertheless, should we listen to IATA’s warning that privatisation is the wrong path for airports? Joe Baker investigates. The European Union operates a list of carriers that are banned from entering European airspace due to safety deficiencies. 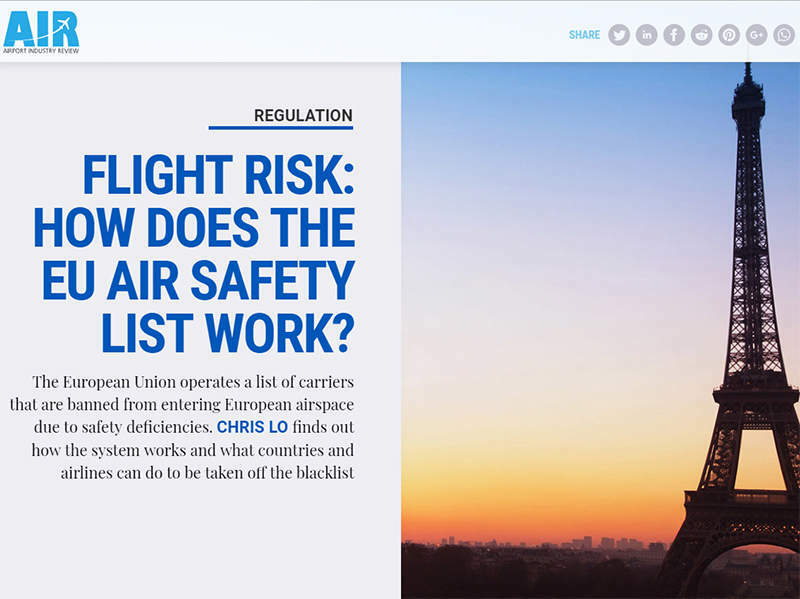 Chris Lo finds out how the system works and what countries and airlines can do to be taken off the blacklist. In line with wider commitments to reduce carbon emissions in the city, Dubai Airports will be deploying new data analytics and smart building technology, which could guarantee energy savings of almost 20% per year. Ross Davies reports. 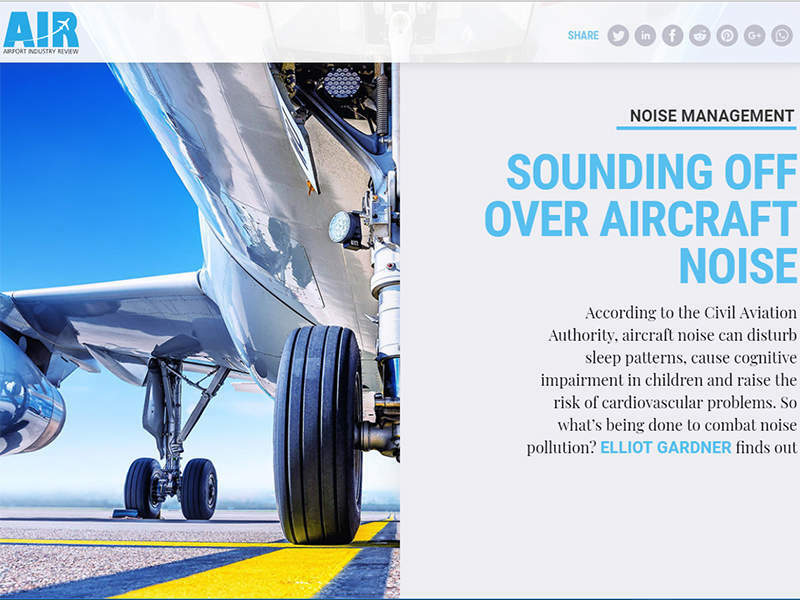 According to the Civil Aviation Authority, aircraft noise can disturb sleep patterns, cause cognitive impairment in children and raise the risk of cardiovascular problems. So what’s being done to combat noise pollution? Elliot Gardner finds out. Finnish company Neste launched the MY Renewable Jet Fuel seven years ago in a bid to reduce carbon emissions in aviation. But despite the fact that renewable fuels are not new, the industry is still sceptical. 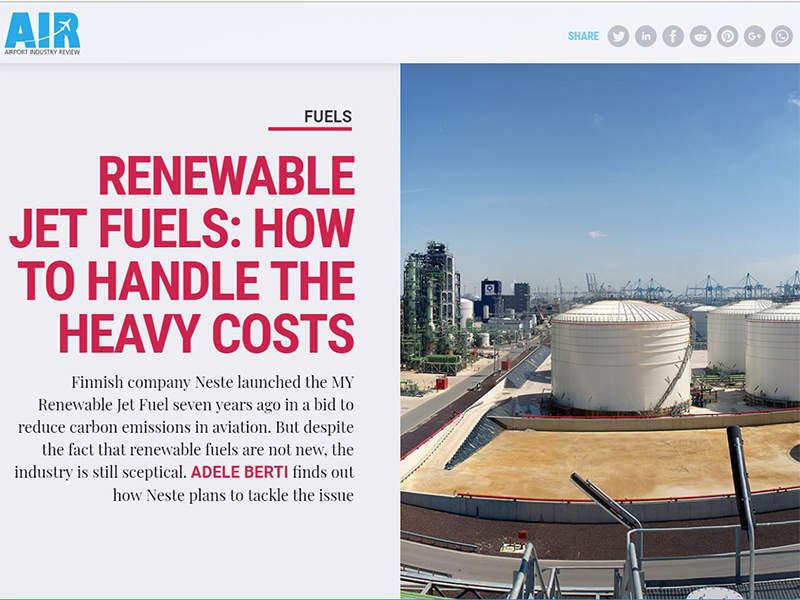 Adele Berti finds out how Neste plans to tackle the issue. Security measures within airports are constantly being improved and tested, but what happens on the concourse receives far less scrutiny. Julian Turner asks Leticia Monteagudo, executive director for the Americas, at Smart Security Consultancy, whether there are security black holes. A new study into shopper behaviour revealed that parents travelling with children have significantly higher footfall, penetration and conversion rates than other travellers. We ask how airports can factor a younger demographic into their design and services, and whether there is a commercial payoff to this. We also take a close look at JFK’s brand new winter storm plan, released after the airport struggled to recover from a serious storm at the start of this year. We profile the ambitious plans for growth of the Israeli resort of Eilat ahead of the official opening of its first international airport in 2019, while also putting Heathrow’s third runway plans under the microscope to better understand what’s next for this crucial project. Finally, we talk to Air BP’s technical services director Justin Walker about the company’s patented new airfield automation technology and ask whether airports should have their own microgrids to help them prevent disaster.